Who would have thought the tragic death of a colleague would inspire a vision of hope. The hope that manifested from this vision was a group called to action. Mary Ann Williams was the Secretary of the National Association of Blacks In Criminal Justice (NABCJ) and Kay Coulson was the Assistant Secretary. 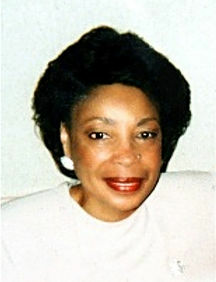 Ms. Williams was a woman of vision and determination who died unexpectedly in 2003. Her death became the core of the life she lived. It was her generosity, kindness, and love for mankind that became the motivating drive for the birth of n-ACTION Family Network. Kay Coulson met with six women (Wintress Barnes, Connie Leathers, Beverly Sapp, Anne Brown, Stacey Westley, and Margaret Ligon) in La Mirada, California, to discuss the growing rate of incarceration among female offenders and the impact on the children “left behind”. During this historic meeting, it was determined there was an overwhelming need to identify and find viable solutions to one of the nation’s leading problems (female incarceration) impacting the family. These seven women became the ​chartered members and pledged “A Commitment To Improve Our Nation...to take ACTION! n-ACTION Family Network was officially incorporated on February 23, 2004. Since then, n-ACTION Family Network has broadened its scope and message of hope to go deeper in the community and take on the challenge of bringing awareness to one of our nation's most challenging issues, homelessness of American children. Not only does it displace children, but their lack of education can negatively impact their lives for years to come. Although it may seem an impossible goal to many, we have decided to take action and leave no child behind. On May 22, 2004, the original n-ACTION Board of Directors were sworn in by the Honorable Judge Ellen DeShazer, who also addressed the audience of supporters. Approximately 50 guests were in attendance at the inaugural ceremony.